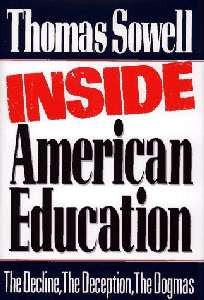 I am sort of completely done with the antique government educational system (practically AND mentally) but somehow I ended up reading Thomas Sowell's Inside American Education this weekend. Here are some excerpts - bear in mind that this book was published in 1993. The weeding out process begins early and continues long, eliminating more and more of the best qualified people. Among high school seniors, only 7 percent of those with SAT scores in the top 20 percent, and 13 percent of those in the next quintile, expressed a desire to go into teaching, while nearly half of those in the bottom 40 percent chose teaching. "...existing institutions cannot solve the problem, because they are the problem." What disturbs you most about your parents? Would you bring up your children differently from the way you are being brought up? As a child, did you ever run away from home? Who is the "boss" in your family? Do you have any brothers and sisters? How do you get along? What is the saddest thing you can remember? Is there something you once did that you are ashamed of? The undermining of parents' moral authority can begin quite early. An author in the "transactional analysis" school of psychology - often known as "T.A." - has produced a book designed for children from pre-school to third grade, entitled T.A. 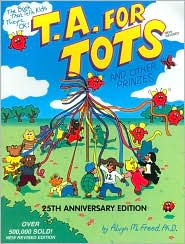 for Tots. Board members quickly learn to tell parents they are too inexperienced to speak on the subject of education, that all the experts oppose their point of view that scientific evidence proves them wrong, that they are trying to impose their morals on others, and that they are the only people in the community who have raised such complaints. Parents are not simply a source of experience from their own lives; they are a conduit for the distilled experience of others in earlier generations, experience conveyed in traditions and moral codes responding to the many dangers that beset human life. Psychological-conditioning programs which enshrine current "feelings" fail to understand that it is precisely feelings of the moment which lead to many dangers, and that inhibitions toward some feelings have evolved for that very reason. It is pseudo-rationalism to say that a child or adolescent should follow only such values as he or she can defend intellectually against the cross-examination of adult trained specifically for such cross-examination - and for emotional manipulation. The values which have endured the test of time were not created by children, but evolved out of experiences distilled into a way of life by adults. Such values are often used precisely for the purpose of guiding people too young to have enough personal experience to grasp fully the implications of the rules they follow - or the dangers in not following them. In other words, many values would not be needed if youngsters fully understood why they existed. A trained cross-examiner could no doubt also bring about a student's incomplete grasp of the underlying premises of mathematics and science, but no one would regard this as a refutation of mathematics and science or a reason why students should make up their own rules of arithmetic, or their own personal physics. Far from being in any way scientific, psychological-conditioning programs are often fundamentally anti-intellectual. They enshrine "feelings", not analysis; the opinions of inexperienced peers, not facts; they induce psychological acceptance of fashionable attitudes rather than teach logical procedures for analyzing assertions, or canons of evidence for scrutinizing claims. In addition to displacing intellectual courses from the curriculum, brainwashing programs actively promote anti-intellectual ways of dealing with the realities of life. Unfortunately, non-intellectual and anti-intellectual approaches are all too congenial to too many people in the educational establishment. It may seem strange, or at least ironic, that people of such marginal intellectual competence as many public school teachers and administrators should take on the God-like role of reshaping the psyches and values of children. Yet this is perfectly consistent with the centuries-old observation that fools rush in where angels fear to tread. Few catch-phrases have been so uncritically accepted, or so variously defined, as "multicultural diversity." Sometimes it refers to the simple fact that many racial, ethnic, and cultural backgrounds make up the American population. At other times, it refers to an agenda of separatism in language and culture, a revisionist view of history as a collection of grievances to be kept alive, and a program of both historical and contemporary condemnation of American society and Western civilization. The great majority of Hispanic parents - more than three-fourths of Mexican American parents and more than four-fifths of Cuban American parents - are opposed to the teaching of Spanish in the schools at the expense of English. Many Asian refugee parents in Lowell, Massachusetts, likewise declared their opposition to bilingual education for their children. In Springfield, Massachusetts, the Spanish-speaking bilingual teachers themselves put their own children in private schools, so that they would not be subjected to bilingual education. Parents in Los Angeles who did not want their children enrolled in bilingual programs have been pressured, deceived, or tricked into agreement or seeming agreement. By and large, ethnic activists oppose giving parents an option. Teachers from foreign countries who speak one of the languages used in bilingual programs can be hired in California without passing the test of basic skills required of other teachers, even if they lack a college degree and are not fluent in English. At the University of Massachusetts, candidates for their bilingual teacher program were, for a number of years, not even tested in English - all testing being done in Spanish. Moreover, a non-Hispanic woman who was fluent in Spanish, and who had taught for years in Mexico, was rejected on grounds that she was not sufficiently familiar with Puerto Rico. Among the questions she was asked was the name of three small rivers in the interior of the island - a tactic reminiscent of the questions once asked by Southern voter registrars to keep blacks from being eligible to vote. If you have no right to disapprove, then your approval means nothing. It may indeed be distressing to someone to have you express your opinion that his lifestyle is disgusting and his art, music or writing is crude, shallow, or repugnant, but unless you are free to reach such conclusions, any praise you bestow is hollow and suspect. To say that A has a right to B's approval is to say that B has no right to his own opinion. What is even more absurd, the "sensitivity" argument is not even consistent, because everything changes drastically according to who is A and who is B. Those in the chosen groups may repudiate any aspect of the prevailing culture, without being considered insensitive, but no one from the prevailing culture may repudiate any aspect of other cultures. There is only one way to deal with "the whole person" - and that is superficially. The "self-esteem" doctrine is just one in a long line of educational dogmas used to justify or camouflage a historic retreat from academic education. Its success depends on the willingness of the public, elected officials, and the media to take such dogmas seriously, without the slightest evidence. American school children and American society are the ultimate victims of this gullibility. As one college guidebook notes: "At least fifty colleges proudly state that they are in the top twenty-five." Other gimmicks to boost SAT averages include omitting the scores of athletes, minorities, or others admitted under special provisions. An admissions director at a leading liberal arts college estimates that about one-fourth of the students in such institutions are likely to be special cases who are admitted in compiling SAT averages. It is no doubt true that graduates of Harvard, Stanford, or M.I.T. earn higher incomes than the average graduate of unknown state colleges, but that is very misleading. Youngsters who have taken a voyage on the Queen Elizabeth II, or who have flown on the Concorde, probably also will have higher future incomes than those who have traveled on anything more exotic than a bus. But that is hardly a reason to go deep into debt to book passage on the QE2 or to strain the family budget buying a ticket for the Concorde. Dartmouth, for example, is not unique in listing in its admissions and financial aid bulletin the availability of home equity loans which permit parents, "to tap 80% of the equity in their homes as an educational resource." Whatever colleges and universities choose to spend their money on is called a "cost." If they hire more administrators, or build more buildings to house them, or send the college president on more junkets, these are all additional costs. If they hire more research assistants for the faculty or more secretaries for the administrators, these are all costs. Doing more research, raising salaries, inviting more high-priced speakers to campus and many other things also increase costs. What colleges and universities seek to insulate - misleadingly - by saying that costs have gone up is that the cost of doing what they have always done is rising, necessitating an increase in tuition. But colleges and universities have been greatly expanding what they do - and, as long as they spend the rising tuition on something, that something will be called a cost. It is a completely circular argument. In the academic world, however, organized collusion among some of the most expensive colleges has stripped the students and their parents of this consumer protection. Each spring, for 35 years, the Ivy League colleges, M.I.T., Amherst, Northwestern, and a dozen other colleges and universities have met to decide how much money they would charge, as a net price, to each individual student, out of more than 10,000 students who have applied to more than one institution in this cartel. The lists of students have been compiled before the annual meetings and officials from the various colleges have decided how much money could be extracted from each individual, given parental income, bank account balance, home equity, and other financial factors. 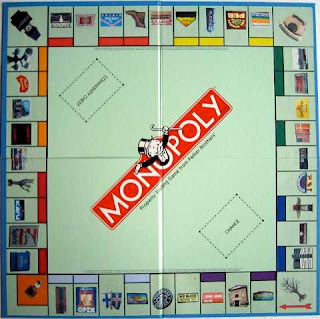 A cartel or a monopoly maximizes its profits not only a high price but also, if possible, a different price to different groups of customers, according to what the market will bear in each separate case. Seldom can most business cartels or monopolies carry this to the ultimate extreme of charging each individual customer what the traffic will bear, as the academic cartel did. But academic institutions are armed with more detailed financial information from financial aid forms than most credit agencies require, and for decades have been comparing notes when setting their prices, in a way that would long ago have caused a business to be prosecuted for violation of the anti-trust laws. In other respects, however, the colleges and universities use the same methods as business cartels or monopolies. Like monopolistic price discriminators in the commercial world, private colleges and universities set an unrealistically high list price and then offer varying discounts. In academia, this list price is called tuition and the discount is called "financial aid." Ordinarily, price discrimination does not work in a competitive marketplace, because those charged extortionate prices will be bid away by competitors, until the price is competed down to a level with the cost of producing whatever commodity or service is being sold. But this does not happen among high-priced colleges which engage in organized collusion. A Carnegie Foundation study found "widely different costs per student" among institutions. Yet in 1989-90, for example, the variation in tuition among the eight Ivy League colleges was less than 5 percent from the most expensive (Brown) to the least expensive (Cornell), even though the Ivy League colleges are scattered from Manhattan to rural New Hampshire. Historically, elusive concepts like "leadership", "character," and the like were among the ways used to reduce the proportions of Jewish students admitted to Harvard and other selective institutions. Today, similar concepts are used to increase or decrease the enrollment of whatever groups the admissions committee wants increased or decreased, whether for the committee's own reasons or in response to various outside pressures. An outgoing dean of admissions at Stanford quipped, "If we only admitted students based on SAT scores, I wouldn't have a job." There was more truth than humor in this remark. Sweeping presumptions about admissions committees are capable of judging not only justify a costly administrative empire, with far-flung operations extending across the country and overseas, but also feed the egos of those who imagine themselves to be performing a difficult and vital task. There is no point chasing the will o' the wisp of a "culture-free" test or any other culture-free criteria. Whatever anyone accomplishes anywhere in this world will always be accomplished within a given culture. No race, no country, an no period of human history has ever been culture-free. When the same pattern was found among the preferentially admitted sons of Harvard alumni, then the effect of lower admission standards are clear, even if those admitted are predominantly affluent and white. At Berkeley, where black students' average composite SAT scores of 952 were above the national composite average of 900, though well below the Berkeley average of 1181, more than 70 percent of the black students failed to graduate. Again, these were artificial failures, on an even larger scale than at M.I.T., in the sense that these black students' academic qualifications would have been more than adequate for the average American college or university, though not adequate for competing with Berkeley's white students who scored 1232 or Berkeley's Asian students who scored 1254. Despite a rising number of blacks admitted to Berkeley over the years - the great majority under "affirmative action" standards - fewer blacks graduated in 1987 than graduated eleven years earlier. What was accomplished by admitting more black students and graduating fewer? The benefits are far more obvious for Berkeley than for the students. The racial body count enabled the university to proclaim that its student body is "wonderfully diverse" and that "we are excited that the class closely reflects the actual ethnic distribution of California high school graduates." It also enabled Berkeley to continue receiving vast sums of state and federal money without being distracted by the inevitable legal and political complications which an "under-representation" of blacks and Hispanics would have entailed. The problems of mismatching and artificial failure proceed on down the academic pecking order. Nationwide, 74 percent of black students have failed to graduate, five years after entering college. "May" arguments require not a speck of evidence, so that there is no way to answer them, except by constructing an alternative list of "may" possibilities. Since almost anything is possible, there is no way to resolve conflicts based on "may" statements. On many other college campuses as well, the standards for "racism" themselves vary by race. For example, when a white woman at the University of Pennsylvania expressed her "deep regard for the individual and my desire to protect the freedoms of all members of society," she was chided by an administrator who said that the word "individual" is "considered by many to be RACIST." The reason is that emphasis on the individual could be construed as "opposition to group entitlements." In the 1960s, there were many violent resistances to the racial integration of colleges and universities in the South, while today such violence is far more prevalent in the North. Tabulations of racial or ethnic violence by the National Institute Against Prejudice and Violence in 1988 and 1989 both found more such incidents in the state of Massachusetts alone than in the entire region of the South. Professor Duster, while likewise blaming campus racial problems on "the mood in the country" more explicitly blamed a "conservative era," in which "Reagan has made racism a more legitimate thing." Similar views have been echoed by many others, including Professor Philip G. Atlbach of the State University of New York at Buffalo, who said that "the racial crisis on campus is very much a part of the legacy of Reaganism." But Massachusetts has never been Reagan country and the problems plaguing liberal or radical institutions like Berkeley or the University of Massachusetts have seldom erupted on more conservative campuses. Some buffoon at the Boston Globe recently "blamed" Ronald Reagan for "serial killers on television". I kid you not. Sam offered to apologize publicly to the GLSA for his thoughtless act. But according to friends, he was nonetheless pushed to the brink of tears by the official inquisitors who questioned his motives at every turn and threatened him with severe punishment. Heavy pressure on this young man, at an institution where deliberate disruption and even violence have repeatedly gone unpunished, was all the more remarkable because the Freshman Dean's Office knew that Samuel Burke was already burdened with personal problems. A high school football star, he had just been told by a physician that he could not play football in college. Moreover, his father had recently been killed in an automobile accident. But no humane considerations tempered the zeal of those determined to do the politically correct thing. Sam Burke was hit with disciplinary probation just before the Christmas holidays. He did not return from the holidays. He committed suicide. At Harvard, the minority affairs dean handpicked and assigned "designated race relations tutors" to each house to "monitor the racial atmosphere," report "violations of community," and "raise consciousness" among the students. She also engaged an outside "facilitator company" to conduct "house workshops" on racism. Among the material used in this consciousness-raising operation was a pamphlet which presumed students guilty of racism a priori. The pamphlet urged students to "accept the onion theory, that they will continue to peel away layers of their own racism for the rest of their lives." Even a "Back to the Fifties" party by dining-hall employees was denounced as "racism" by the minority affairs dean, on grounds that the 1950s were a racist decade. Thus, a dean at Rutgers defends those accused of political correctness as people whose goal is "bringing about change" - as if there has ever been a time in the history of the world when change was not going on. 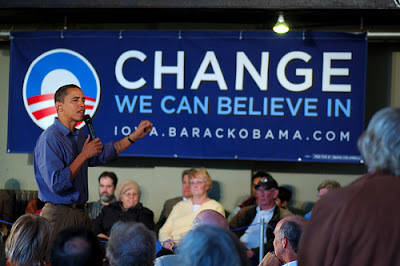 Generic "change" has never been an issue. Only specifics are an issue, and a flight into vague generalities is an evasion of issues. Where good teaching exists - and there is much of it in many kinds of institutions - this is not merely because the faculty are professionally competent but also because they have the character to resist the temptations inherent in a situation of large disparities in knowledge, experience, and power. The conception of academic freedom at the time was that of a protection of professors from reprisals for their activities or beliefs outside the classroom. Inside the classroom, the original AAUP report said, the professor must avoid "taking advantage of the student's immaturity by indoctrinating him with the teacher's own opinions before the student has an opportunity to fairly examine other opinions upon the matters in questions." Over the years, however, the doctrine of academic freedom was turned completely around to protect whatever the professors did inside the classroom. By 1969, a survey of professors found more than four out of five agreeing that "faculty members should be free to present in class any idea that they consider relevant." Given its high costs, what benefit does tenure confer in return? For the profession as a whole, it does not increase job security but merely concentrates the insecurity on valuable new faculty members. This leaves as its principal claim that it protects academic freedom, at least for the tenured faculty. In turn, the image of academic freedom is that it is a protection against ideological conformity, imposed from the outside, and stifling the free exercise of the mind which is at the heart of teaching and learning. With the passing years, however, this conception has grown ever more remote from reality. "Today, the NEA is far larger than the United Auto Workers, larger than the Electrical Workers, larger than the State, County, and Municipal Employees, and larger than the Steelworkers. My friends, we are now the largest union in all of America by a half a million members," Mary Hatwood Futrell, President National Education Association. At the University of Connecticut "harassment" includes "misdirected laughter" or even "conspicuous exclusion from conversation." Much discussion of the merits of tenure focuses on the benefits it provides to those who get it. By this kind of reasoning, one could justify monarchy on grounds that it benefits kings. The real test of tenure, as of monarchy, is how it performs as a system serving public purposes. As of 1940, only one-fourth of young adults in the United States had completed high school. By 1970, this had climbed to just over half. During the 1980s, when hysteria about drop-outs became rampant, more than four-fifths of all high school students - black and white - graduated. It would be considered a gross violation of "academic freedom" to fire anyone because the policies he supported in faculty meetings over the years have led to a drastic decline in the college's or university's academic standing or financial viability. In virtually no other institution anywhere is there such a blank check for irresponsibility. 1. They have taken our money, betrayed our trust, failed our children, and then lied about the failures with inflated grades and petty words. 2. They have used our children as guinea pigs for experiments, targets for propaganda, and warm bodies to be moved here and there to mix and match for racial balance, pad enrollments in foreign-language programs mislabeled "bilingual," or just to be warehoused until labor unions are willing to let them enter the job market. 3. They have proclaimed their special concern for minority students, while placing those students into colleges where they are most likely to fail. 4. They have proclaimed their dedication to freedom of ideas and the quest for truth, while turning educational institutions into bastions of dogma and the most intolerant institutions in American society. 5. They have presumed to be the conscience of society and to teach ethics to others, while shamelessly exploiting college athletes, overcharging the government, organizing price-fixing cartels, and leaving the teaching of undergraduates to graduate student assistants and junior and part-time faculty, while the tenured faculty pursue research and its rewards. The belief that tenure simply cannot be gotten rid of is belied by the experience of Britain, where it has been gotten rid of. 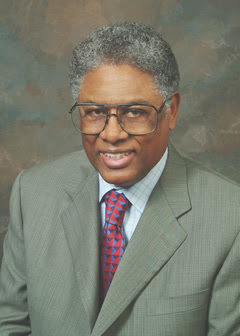 Outside of perhaps a couple of articles, I had never read much of Thomas Sowell before this book. I must say I found him pretty bright. He has a somewhat interesting bio, if your inclined to read it, on Wikipedia. One would think a highly intelligent, articulate black man like Sowell would be put out in front of the movement to ban "diversity quotas" - but few people have really had the stomach for that battle. With Tom pushing 77 years of age, such a movement will have to find somebody else. Once the damaging truth about "minority" graduation rates got out, colleges created more ethno-centric and joke majors to blunt that statistic. They'll always be a step ahead of reform. The crux of Sowell's argument is that colleges have "bid up" minority candidates and actually guaranteed their academic failure. Harvard takes more than they should, leaving every other lesser institution also forced to preferentially admit those who lack the intellect/skills to thrive within each particular school. The colleges do this to stave off criticism and get on conducting their REAL BUSINESS - collecting massive government research grants. Sowell notes, most trenchantly, that every group receiving preferential admittance does poorly - including white, affluent students who may be athletes or alumni. What the heck else would you expect? Don't kid yourself, our educational system will stay in a downward spiral until ALL government money is taken out of it. Student loans and taxpayer-funded research need to go the way of the dodo. Having Mr. Brademas, a former president of New York University, review "Inside American Education" is like having George III review Thomas Paine's "Common Sense." That's an astounding number. Half of the the dumbest want to teach??? All by itself, this should be THE argument against mass schooling. ...the itch to teach is stronger than the will to learn. 2006 average Boston teacher salary $69,076. 2006 average Boston uniformed cop salary 113,617. You get what you pay for. Basic Economics by Sowell should be required reading for all. Yeah, but you know what, I believe the free market public school teacher salary would be lower than 69k. Furthermore, in my fantastical free market scenario, the less-compensated teachers would be of higher quality. The assumption that spending more of the taxpayers' money will make things better has survived all kinds of evidence that it has made things worse. The black family—which survived slavery, discrimination, poverty, wars, and depressions—began to come apart as the federal government moved in with its well-financed programs to "help." By the way, didn't you recommend that book in my comment threads before? Someone yesterday told me they started reading it upon that suggestion. See, some of us aren't immune to good gratuitous advice! $69,000.00 for Boston teachers and $113,000.00 for Boston police shows the power of the unions. Big dues payments from members allows the union to just about "buy" politicians and put them into office. Then more money is used to lobby the same politicians who in turn approve pay raises. At the taxpayer's expense. Tenure along with the union's lawyers fight to keep "bad" teachers who get bloated salaries. Foreclosure - The American Dream?